Material: High Quality ABS Plastic + Steel Mounting Hardware. 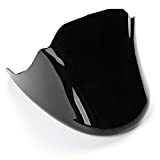 Fitment:Fit For Harley Sportster 48 883 1200 2004-2018,Please check the Installation Positions of the Fairing Front Spoiler to make sure it can install in your Vehicle, Thanks!. Unique Design, Direct replacement, Easy installation. Glossy Black ABS. Size: 26cm(L)x24.5cm(W)x27cm(H) / 10.24" x 9.65" x 10.63" Please check the measurement before you buy. 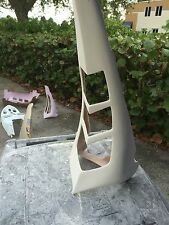 Pakage included:1 x Fairing Front Spoiler. Manufacturer Warranty is Valid for Purchasing from Astra Depot ONLY. 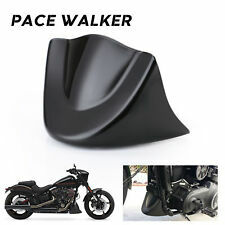 Front Spoiler Cover Prevent Splash Ups and Protect Your Spoiler During Riding.. 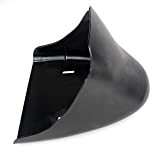 Constructed Of Sturdy Thermoplastic ABS Material and Metal Bracket.. Unique Design, Direct replacement, Easy installation..
Package Includes: 1X Front Spoiler Cover+1X Mounting Bracket+Set of Mounting Accessories. Package Includes: 1X Front Spoiler Cover + 1X Mounting Bracket + Set of Mounting Accessories. 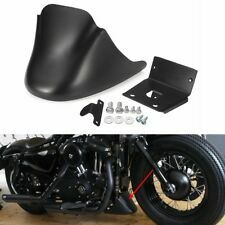 Compatible For 2004-2014 Harley Sportster XL 883 1200 models. DO NOT FIT FOR models with Engine Guards. 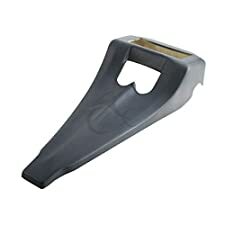 Front Spoiler Cover Prevent Splash Ups and Protect Your Spoiler During Riding. Specifications: Condition: 100% Brand New Package Includes: » 1X Front Spoiler Cover » 1X Mounting Bracket » Set of Mounting Accessories Size: As the picture shown Color: Matte Black Material: High Quality ABS + Metal Bracket Weight: 860g Features Constructed Of Sturdy Thermoplastic ABS Material and Metal Bracket. 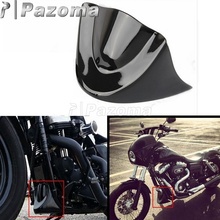 Front Spoiler Cover Prevent Splash Ups and Protect Your Spoiler During Riding. Unique Design, Direct replacement, Easy installation. 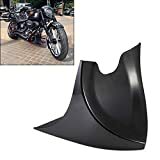 Fitment: (For 2004-2014 Harley Sportster XL 883 1200 models) For XL 883 SPORTSTER For XL883C SPORTSTER CUSTOM For XL883L SPORTSTER LOW For XL883R ROADSTER For XL883L SPORTSTER SEVENTY-TWO For XL1200N Nightster For XL1200C SPORTSTER CUSTOM For XL1200L SPORTSTER LOW For XL1200R SPORTSTER ROADSTER For XL1200X FORTY-EIGHT For XL1200C CUSTOM DO NOT FIT FOR models with Engine Guards * Note: * Please read all description & fitment before ordering the product.